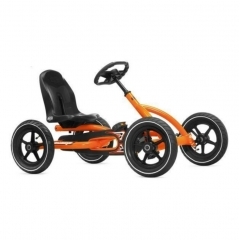 Pedal GO KART Without Engine XTM off road go karts for sale is the entry level kids go cart. Designed best kids go cart in our mind, it can tackle steep banks and hillsides to thick muddy tracks! You can set the desired speed when you controls define simplicity with stop / go footpedals and a throttle restrictor. 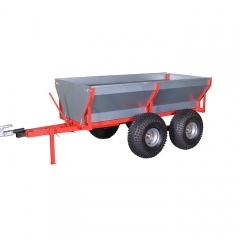 XTM OD-10 is an Utility Trailer Sales with heavy duty but light weight, wide flotation tyres and high ground clearance making them ideal for off road use. Removable front & rear tail gate and easy central tipping base further enhance their cargo handling capability. 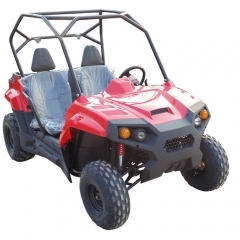 XTM U150-C small side by side utv is designed for older youth or adult. This UTV is perfect for any off-road fun riding. 125T-48 is superbly stylish with a quality fit and finish. 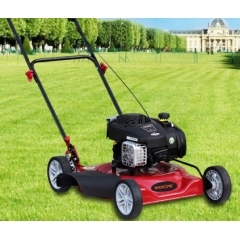 It performs well, handles well and burns clean and economically. 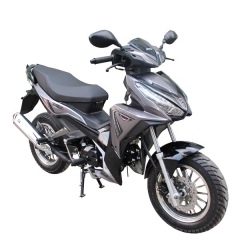 This sporty 125cc scooter comes with big tires, front hydraulic disc brake, which means that not only does it ride smoother and handle better but can easily handle two passengers. XTM-125T-36A Vintage Scooters is the perfect choice for those who are looking for a fuel efficient reliable transportation to get around the town. it gets up to 80mpg for a great fuel efficiency transportation. 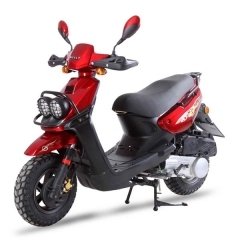 XTM truly classic cub motorcycle with 125cc single cylinder, horizontal, air-cooled engine, has all the reassurance of a reliable 4-stroke motor. A totally eye-catching scooter that's perfect for cruising through town or down to the beach. 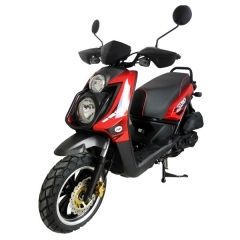 The 150cc Motor Scooter also equipped with electric/kick starting method, high performance aluminum exhaust pipe, dual stage paint treatment, high quality polyurethane seat. 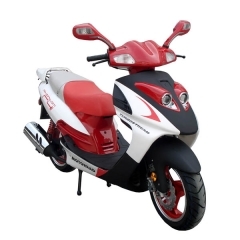 XTM150T-50A Chinese Scooter is powered by 150cc, air-cooled, 4-stroke engine to produce good strong power for acceleration while keeping a good gas mileage. This Racing Scooter is powered by 150cc, air-cooled, 4-stroke engine to produce good strong power for acceleration while keeping a good gas mileage. 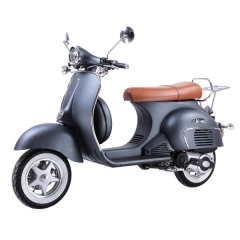 The scooter also equipped with electric/kick starting method, high performance aluminum exhaust pipe, dual stage paint treatment, high quality polyurethane seat. 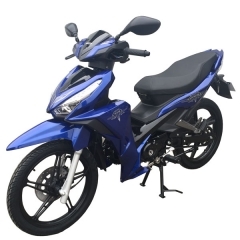 XTM Sport Scooter is powered by 150cc, air-cooled, 4-stroke engine to produce good strong power for acceleration while keeping a good gas mileage. 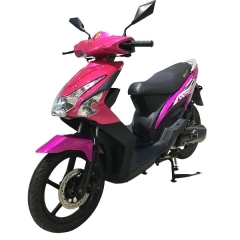 The scooter also equipped with electric/kick starting method, high performance aluminum exhaust pipe, dual stage paint treatment, high quality polyurethane seat. The Petrol Scooter is the perfect choice for those who are looking for a fuel efficient reliable transportation to get around the town. it gets up to 80mpg for a great fuel efficiency transportation. 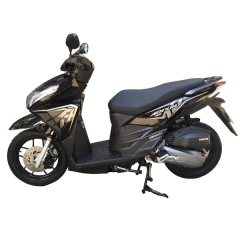 The scooter also equipped with electric/kick starting method, high performance aluminum exhaust pipe, dual stage paint treatment, high quality polyurethane seat, and large lockable rear trunk. Now you can enjoy this classic work of art at a very affordable price. 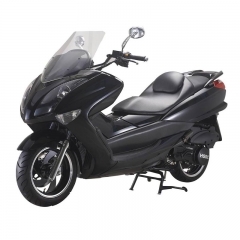 XTM-125T-31B is Gas Scooter with power from a 125cc, 4-stroke engine, the 125T-31B is your ticket to self-reliance. Colors optional, red, balck, blue, white… comes with under seat storage that makes it easy for you to take your board along for the ride. 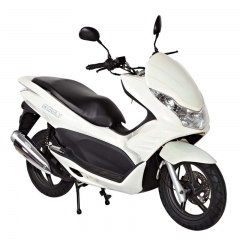 XTM125-40 13” is a Cub Scooter. 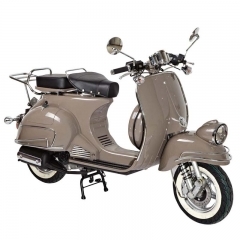 A truly classic cub motorcycle with 125cc single cylinder, horizontal, air-cooled engine, has all the reassurance of a reliable 4-stroke motor. A totally eye-catching scooter that's perfect for cruising through town or down to the beach. 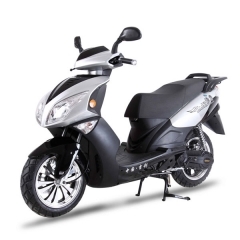 The Scooter 150cc is the perfect choice for those who are looking for a fuel efficient reliable transportation to get around the town. it gets up to 80mpg for a great fuel efficiency transportation.